Signs of the Time is a 60-minute documentary on the origin of hand signals in baseball. There are several myths in regards to how signals were started, and the film helps to address some of the mysteries that led to umpires giving hand-signals to call plays in the field. 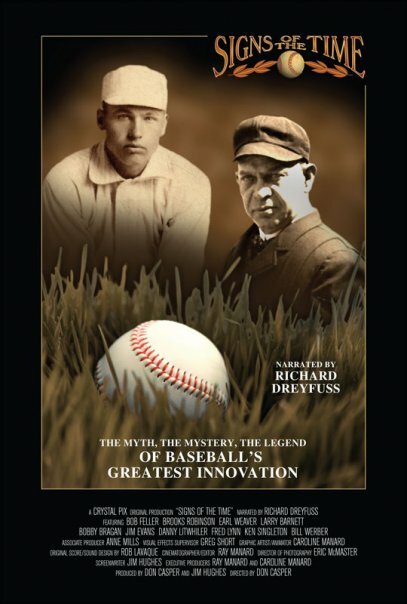 Produced by Crystal Pix, Inc., a Rochester, NY based production company, the film has received numerous film festival selections and awards including the 2009 Award for Baseball Excellence from the Baseball Film Festival held at the National Baseball Hall of Fame in Cooperstown, NY.